One of the sunny days during our April stay saw us exploring the Canal St-Martin neighborhood. 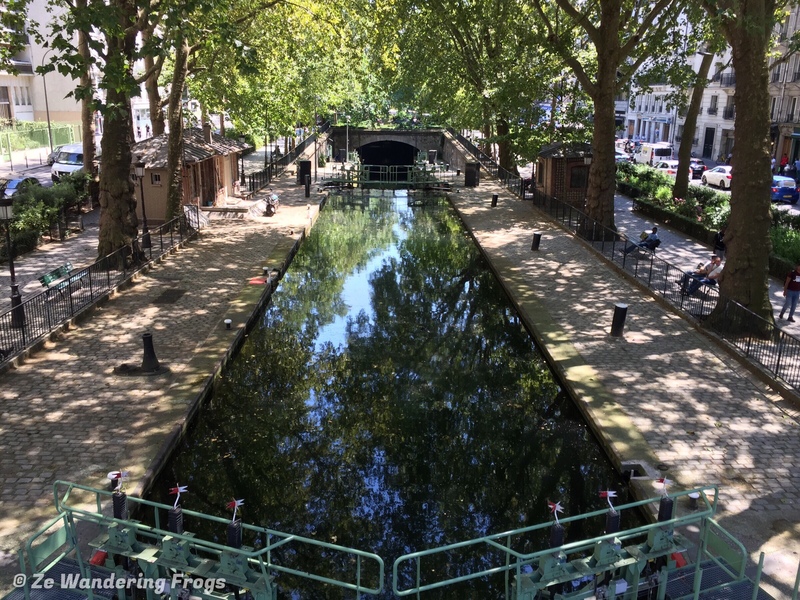 A man-made canal built under Napoleon in 1802 and located between the Seine River and the Canal de l’Ourcq, the 2.86-mile (4.6 km) Canal St-Martin aimed to bring fresh water to Paris arrondissements away from the river. More than half of the canal between La Bastille to Place de la République has been covered since the mid-19th century in order to create public areas, boulevards, and parks. 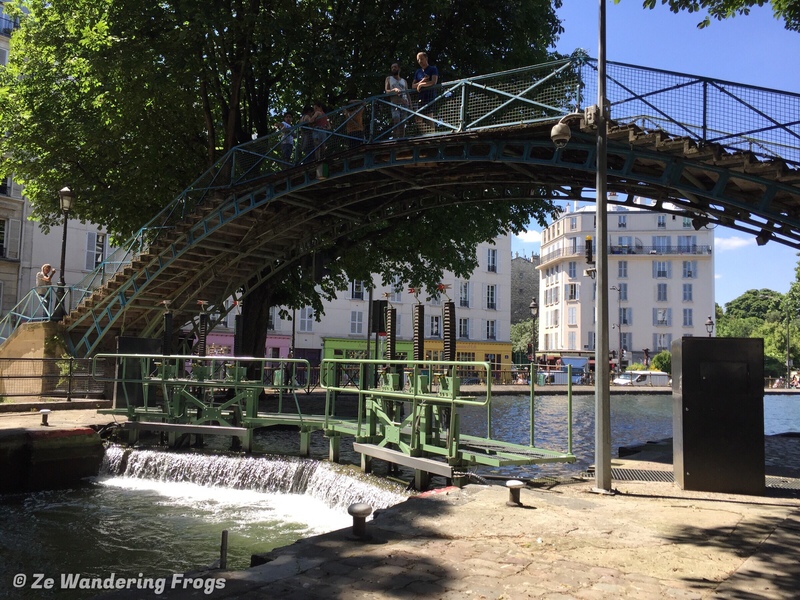 The best place to see the Canal St-Martin is between La Republique and Bassin de La Villette, where 8 écluses are spread and allow boats to navigate the varying water level of the canal. The écluses #1 and #2 start from La Villette. Following the water direction, écluses #3 and #4 des Morts (of the Dead) are close to the Place du Colonel Fabien. The écluses #5 and #6 des Recollets are by the curve of the Canal St-Martin, close to the Hôpital Saint-Louis. The écluses #7 and #8 du Temple are right by the Rue du Temple. 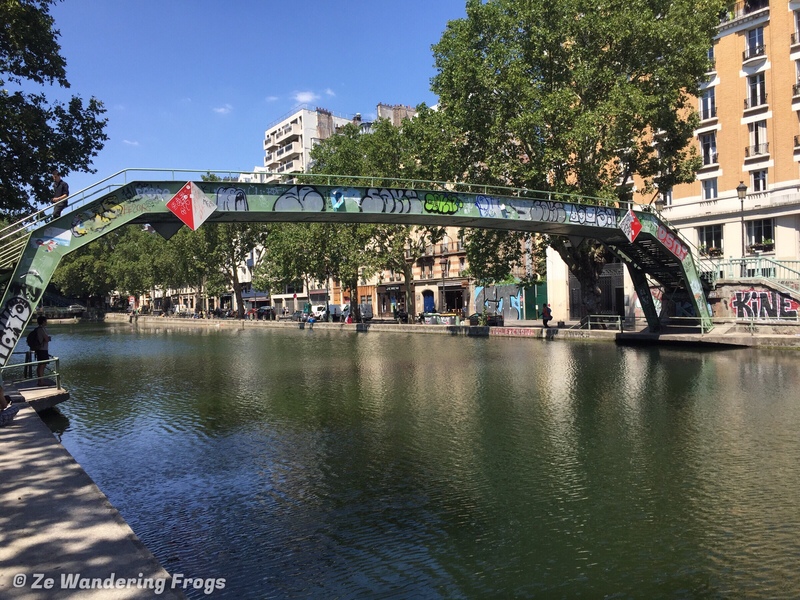 Each écluse and bridge are different and it’s nice to stroll along the Canal to view them all. 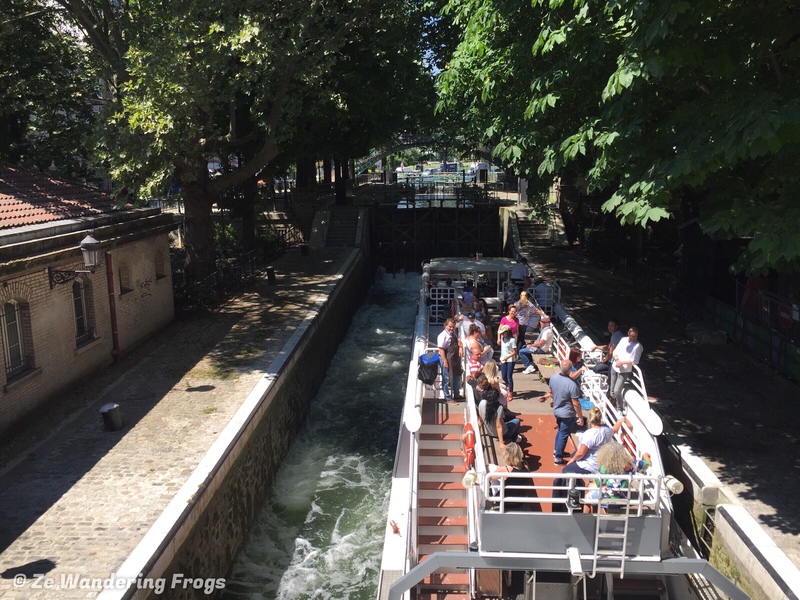 Make sure to stop and watch the process of boats passing the locks (écluses) as the process is really interesting. 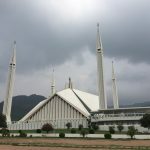 Locks closing, water pouring and leveling to the next écluse, door opening – and repeat through the 3 different locks that compose each écluse. The swing bridges allow the cars and people to cross the Canal move as they did back in the 19th century. Two ports allow boats to allow their cargos: Port de l’Arsenal by La Bastille, and Bassin de la Villette. 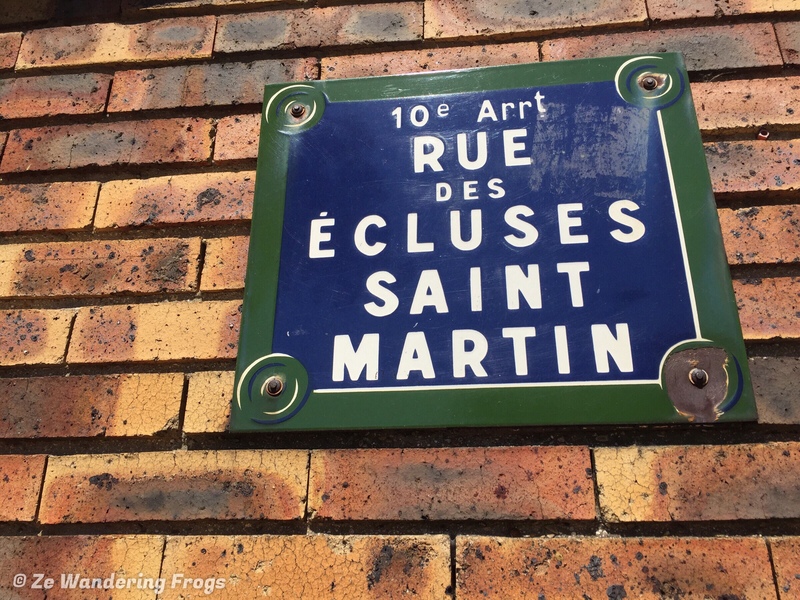 These two locations are where cruises depart for a 2-hour canal St-Martin cruise along the Canal, one of the things to do in Canal St-Martin. The boats even traverse through the underground section between La Bastille and La République. 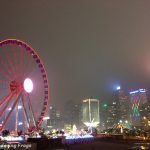 This must be a crazy experience for kids and adults alike, cruising underground! 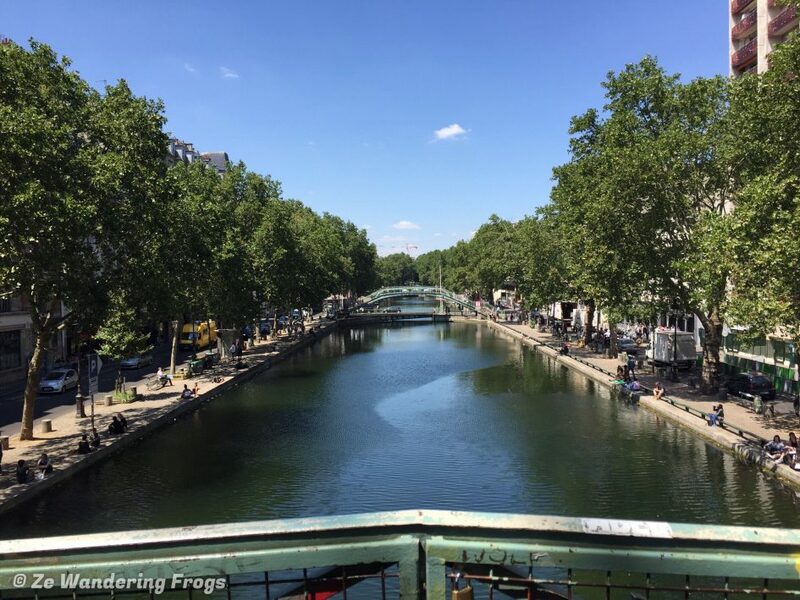 Go on a canal cruise, or take the opportunity to enjoy French cuisine on a food tour! Every 10 years, the city works to get the Canal St-Martin drained, bringing interesting discoveries to the surface, including discarded bikes. As we walked the Canal, we did see a couple of these bicycles laying in the relatively shallow waters. 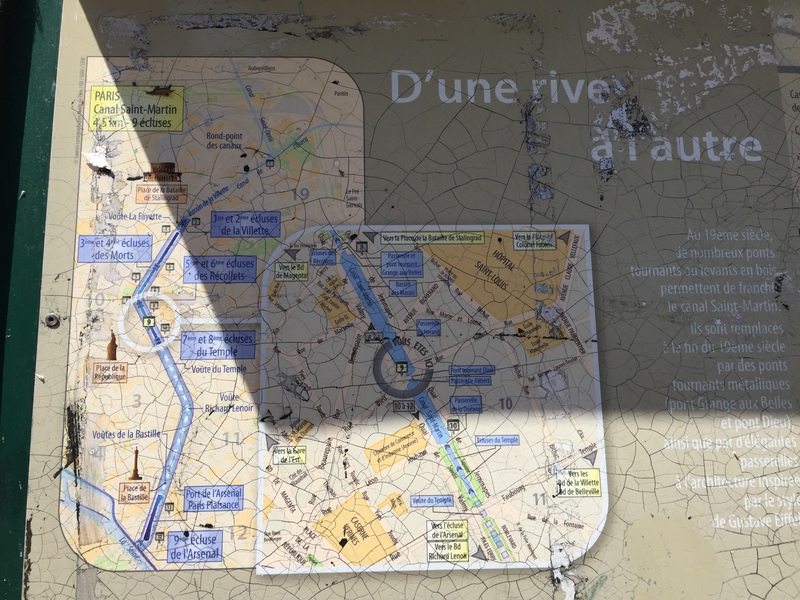 Several maps are available along the Canal St-Martin to help you figure out where you are and where the next locks are. Several metro stations let you reach different areas of the Canal Saint-Martin: Stalingrad, République, Goncourt, Jaurès, and Bonsergent. If you want to take a break from your walk, or simply enjoy the view, sit by one of the several Canal St-Martin restaurants for a coffee or glass of wine. Or relax in the Jardin Villemain and watch the cruises passing. 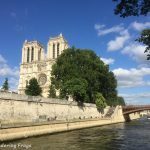 From the Canal St-Martin arrondissement, which is the 10th arrondissement, those looking for more outdoor Paris explorations can head to the Buttes Chaumont or the Coulée Verte (Promenade Plantée). The picturesque area is between the Place de la République and la Gare du Nord. With plenty of small cafe shops and trendy boutiques, the narrow streets are the perfect place for an evening stroll. In Spring and Summer, the grassy banks of the Canal St-Martin allow for lazy picnics. 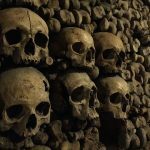 Interested in other free things to do in Paris? 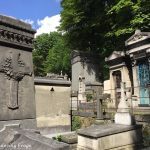 Head to Père Lachaise Cemetery, go for a stroll along the Seine River banks, explore the Paris Catacombs!